How to Save Big on Men’s Fashions ~ Budget-Friendly Tips for Looking Good on a Dime! When it comes to fashion, men have had a free pass for far too long. In the Information Age, not knowing any better simply doesn't cut it. Though casual attire is showing up in an increasing number of workplaces, there's still something to dressing for success. Stocking up on a few new looks might postpone your impending PlayStation 3 purchase, but it doesn't have to drain your bank account. There are plenty of affordable ways to create a professional wardrobe. Before you start buying up penny loafers and blazers, consider a few of these money-saving style tips for men. Does seeing a $150 price-tag on a button up from a brand you've never heard of make you sick to your stomach? If so, you'll be happy to learn the shirt underneath your jacket or sweater isn't the most important piece of an outfit. While shirts provide a foundation for your overall look, they're generally pretty standard. Stores like Kohl's and Target have affordable prices on collared shirts appropriate for just about any office. Surprisingly enough, some months are better for buying suits than others. Purchasing suits in either January or July is your best bet, as these months are typically when retailers reduce prices on last season's styles. You can score even more savings by using a discount store gift card from sites like GiftCardGranny, which instantly trims up to 35-percent off your purchase price. Unless you work with a few fashionistas, odds are the rest of the office won't have any idea you got your suits on sale. Sneaker shopping is popular with many men, but a pair of Jordan's don't quite cut it in a professional environment. Luckily, sites like Zappos.com offer free shipping and free returns with all shoe orders. This provides the convenience of shopping from home without the worry of getting stuck with the wrong size. As you upgrade your wardrobe, it's important to check the tags of any items you buy. If possible, dry-clean only should be avoided at all costs. Not only is dry cleaning expensive, it's also inconvenient. Unless you're especially motivated to maintain your look, you'll likely wind up with a closet full of dirty clothes. If you think flipping your tie over your shoulder at lunch is the best way to stop stains, you're probably not familiar with the Tide to Go Pen. This handy little contraption can be kept in a pocket or desk drawer and makes everything from barbecue sauce to coffee disappear in an instant. Your days of strategic shirt tucking and tie placement are finally over. It's nice to have some interesting patterns and vibrant colors mixed into your wardrobe, but don't invest heavily in them. Solid, standard colors like light blue can be combined with a variety of different pants and jackets. Shopping this way limits the number of items you need to buy as you're able to create several different looks with a small stable of clothes. Don't let clothes you know you'll never wear again take up all of your closet space. If you're running short on cash, your most current styles can always be sold online or at a local consignment store. Ebay is an easy fallback option, but sites such as ResaleShopping.com help you locate stores in your area that specialize in buying men’s clothing. Another option is to pack your clean clothes in a box and drop them off at a donation center. Make sure you pick up a signed and dated receipt to get the tax deductions in the spring. When you find yourself going through sizes like a middle-schooler during a growth spurt, consider counteracting your expanding waistline with diet and exercise. It's often hard to get motivated, but a brisk walk or bike ride every day makes an impact. After slimming a few inches, you'll have access to formerly ill-fitting items you've already purchased. Andrea Woroch is a consumer and money-saving expert for Kinoli Inc. As a nationally recognized media source, Andrea has been featured among top news outlets such as Good Morning America, NBC's Today, MSNBC, New York Times, Kiplinger Personal Finance, CNNMoney and many more. One Response to How to Save Big on Men’s Fashions ~ Budget-Friendly Tips for Looking Good on a Dime! 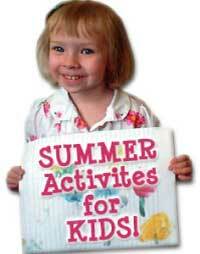 Cheap Summer Activities for Kids That Promise to Banish Summer Break Boredom!